TRUCKEE, Calif. — Over the past two years, Truckee High School teacher Craig Rowe has seen some very hard-working, high-performing students who have the opportunity to be the first generation college student in their family. Unfortunately, many of them don’t have the financial resources or college savvy support at home to enable them to compete at high-level schools. Rowe is passionate about students having an equal chance to attend the college of their dreams and took the initiative to form La Fuerza Latina, a small college prep admissions program for Truckee High students. The goal of this program is raising the collegiate bar for all students at Truckee High and providing the kind of high-caliber admissions prep paid consultants provide, so students have the opportunity to compete at the highest level nationally, earn scholarships and reach their potential. As part of his mentorship program, Rowe connects the students to professionals in the community, exposing them to a wide variety of career opportunities while developing personal connections. La Fuerza Latina also hosts civic outreach programs throughout the year including a speaker series to assist students in discovering where their passions lie. Students also have the opportunity to complete an intensive college personal essay writing process. So far, his unique mentorship program has been very successful. His first two students were accepted into 15 of the 18 schools they applied to and are now freshmen at the University of California, Berkeley, and the University of California, Los Angeles, respectively. One senior in La Fuerza Latina just completed her interviews with Duke University, Penn State and Georgetown University, and two others were just accepted to Cal Poly San Luis Obispo for the fall. Six La Fuerza Latina juniors are currently applying to highly competitive summer pre-college programs across the country. 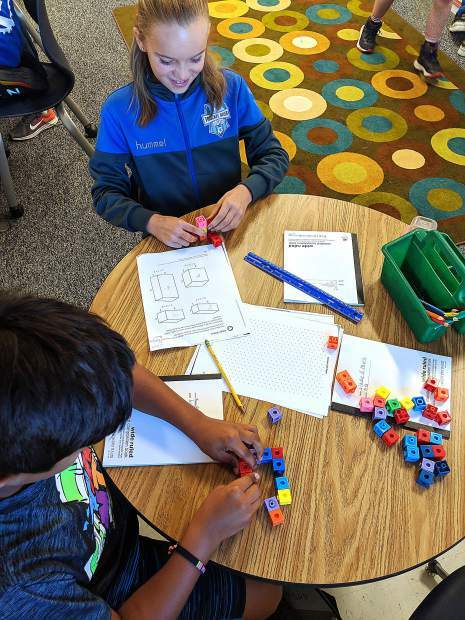 This article was provided by the Tahoe Truckee Unified School District. Visit http://www.ttusd.org to learn more.